Product prices and availability are accurate as of 2019-03-15 18:38:58 EDT and are subject to change. Any price and availability information displayed on http://www.amazon.com/ at the time of purchase will apply to the purchase of this product. Coming in Black colour, the Monogram Hem Sweatshirt from Calvin Klein Jeans features long sleeves, regular fit and a crew neck. Featuring a stitched branded patch on front near hem, this sweatshirt also features elasticated cuffs and hem. 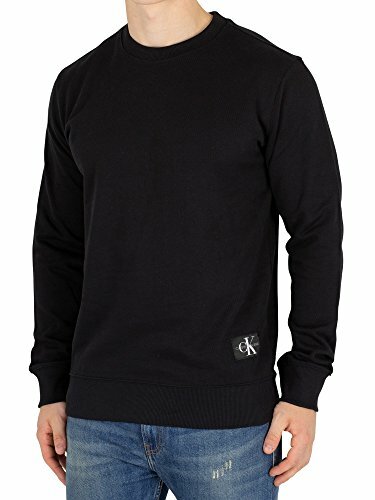 Calvin Klein Jeans Black Monogram Hem Sweatshirt. Brand New and Genuine. We are an authorised seller of Calvin Klein Jeans. See product description below for more information.